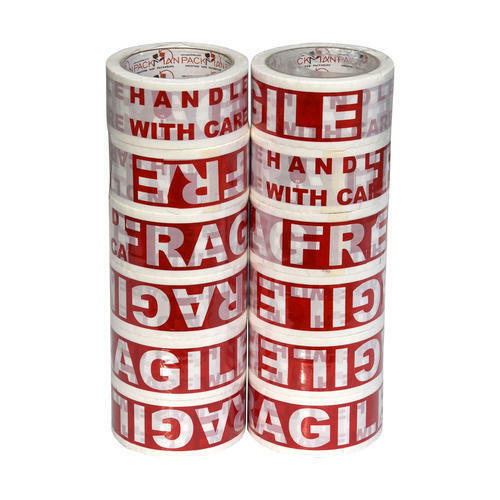 2 inch Self Adhesive BOPP Tape with FRAGILE printed on it. 65 meters length. We, an ISO 9001: 2008 certified Packman Packaging Pvt. Ltd., established in the year 2002, are one of the prominent manufacturers, trader and suppliers of a wide range of the optimum quality of Corrugated Packaging Boxes. The product range offered by us is inclusive of Packaging Boxes, Electrical Packaging Boxes and Food Packaging Boxes. Used for the purpose of packaging, storage and shipment of various products, the offered ranges of packaging boxes are known for their sturdy construction, high load bearing capacity, optimum strength and durability. Offered by us at industry leading prices, these boxes are rendered in various sizes and designs, which fits the requirements of our valuable customers in the most efficient manner. Customised solution and different modes of payment are offered to our valuable customers, in a zest to attain maximum customer approval and satisfaction. Boasting of high experience and vast knowledge of this domain, we have been able to meet the precise needs of our valuable customers in the most efficient manner. Some of our valuable customers are Bosch, T-series and Ferns n Petals. We provide complete packaging materials for all purposes.